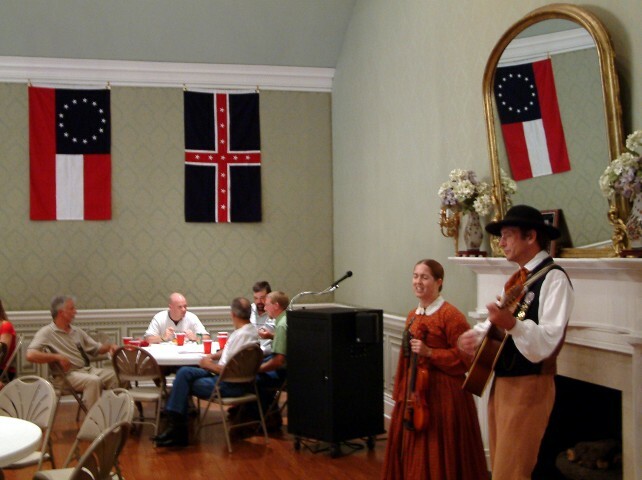 Each July, Murfreesboro Sons of Confederate Veterans Camp #33 hosts an annual “Ole Bedford’s Black eye pea and Sweet Potato Supper” at Oaklands Mansion in Murfreesboro, Maney Hall. This commemorates Confederate General Nathan Bedford Forrest’s raid on Murfreesboro July 13 , 1862 , his 41st birthday. After liberating civilian prisoners and the city of Murfreesboro from the Yankee invaders. General Forrest accepted the surrender of the Yankees at Oaklands mansion. They had a victory meal of Black eye peas and Sweet potatoes, this was all that was left to eat due to foraging by the union troops.